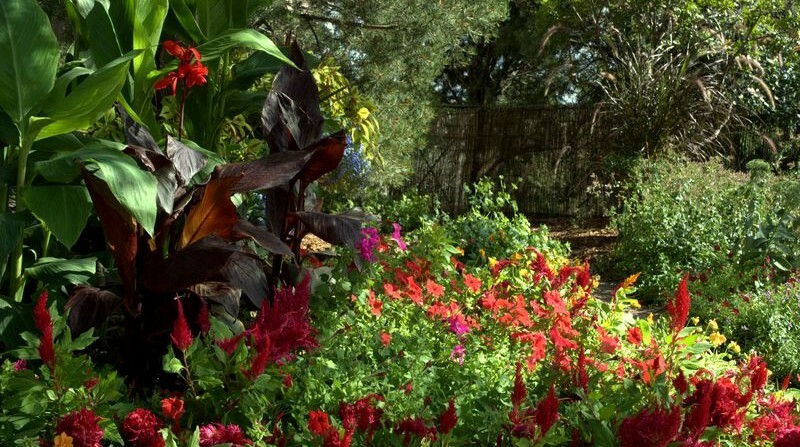 Gardens are a place of refuge to reflect, relax and absorb the smells, sounds and feeling of the earth. Theses spaces provide a buffer to tame the stress of modern life and to help keep us balanced and content. Gardens help strengthen our connection to Nature. I am a gardener at heart and am happiest when outside in Nature. 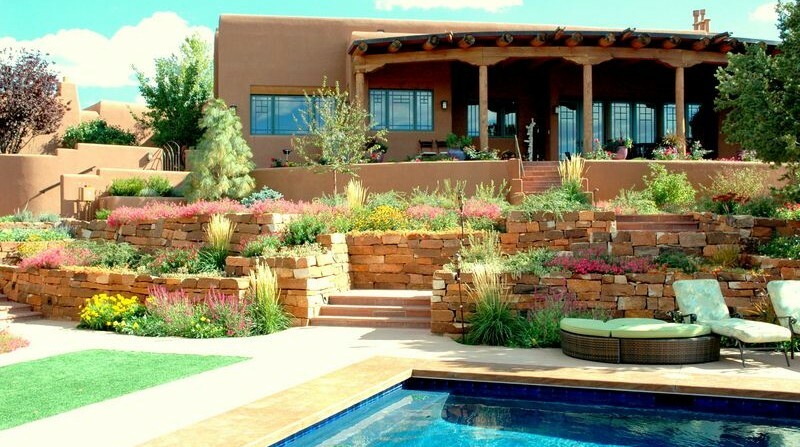 I believe landscaping is more than the garden itself. It’s a collaboration of land, water, plants and people. My job is to understand the requirements of these components as they refer to each outdoor space. This is the challenge and joy of every project. 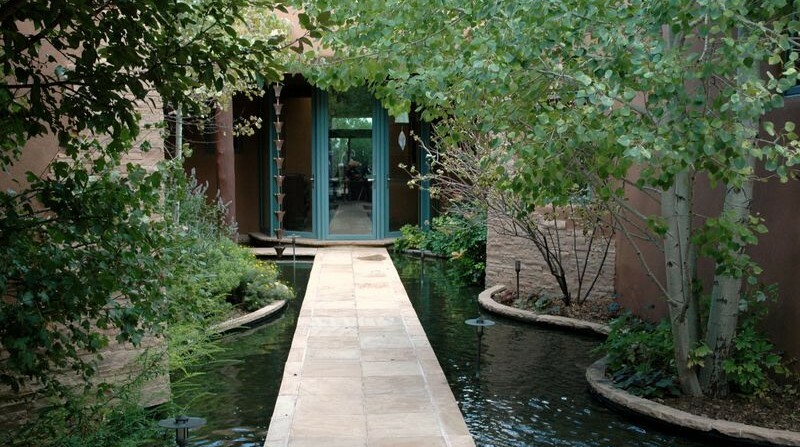 Listening carefully to the desires of the client drives the interaction of natural elements and people. 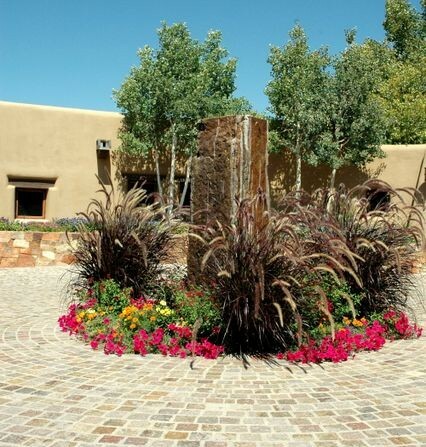 The goal is to create beautiful, cohesive spaces that entice the senses with due respect for the land and environment. 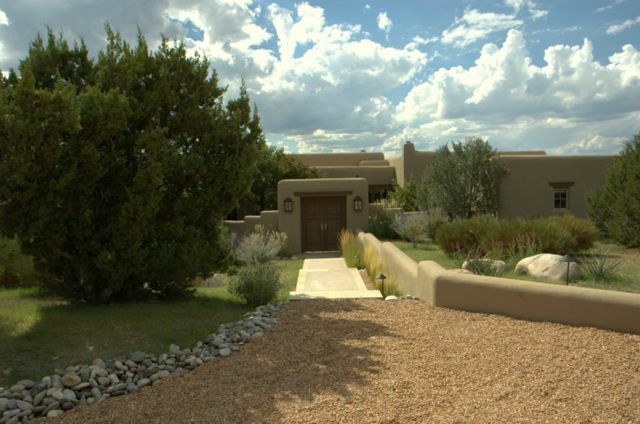 Landscape Design including landscape drawings, consultation with owners and builders, and plan submission to the county and city and home owner’s committees. 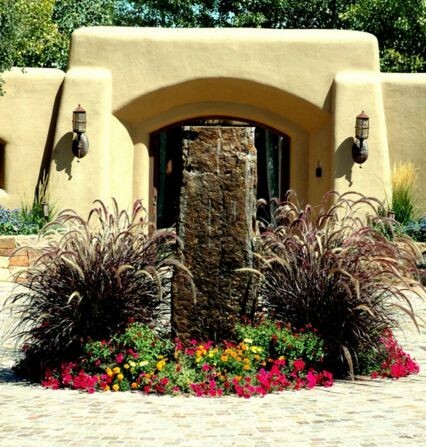 Landscape installation including patios, rock work, walls, fountains and water features water conservation, water catchment and cisterns, irrigation,landscape lighting, re-vegetation of areas disturbed due to construction or erosion, erosion control. Grounds Maintenance.